Our most important goal is the highest possible quality of life for your pet. Occasionally, your pet will not feel well. When they are not themselves we are here to help. 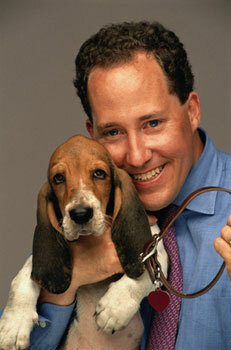 Our doctors will do everything possible to make your pet feel better. If your pet is diagnosed with a medical problem we will take all the time necessary to explain the disease to you, possible outcomes and all available treatments. We pride ourselves in taking the time to help each client understand our recommendations. As always prevention of medical problems is the best way to keep you pet healthy. Regular examinations, vaccinations, heartworm prevention, and routine blood screening are all important ways of safeguarding the health of your pet. We encourage a regular schedule of vaccinations, and our office will contact you when your pet is due for any boosters. Since your pet's dietary needs will change as it grows up and grows older, our staff is trained to recommend diets for your pet that will best suit its needs. For pets with specific medical problems, like heart disease, we will often suggest that it be fed a prescription diet that is formulated to give the patient the optimal nutrition, while dealing with the dietary factors that influence the condition.